If you are a Non-Resident Indian (NRI) and have something in India -- a business or asset, that provides you with some income -- you are required to pay income tax just like any other Indian. However, this could become a very confusing situation for the thousands of Indians settled or working abroad. Indian taxation laws are quite different for NRIs and it is important that you are aware of what you are liable to pay. Filing of a tax return in India depends on the taxability of income earned by the individual. This in turn depends on his/her residential status as per domestic tax laws. As per Indian tax laws i.e. as per the Income Tax Act, 1961, for the purposes of taxation, an individual is considered to be a tax resident of India, only if one of the following conditions is satisfied. Otherwise, the individual is considered to be an NRI. b. 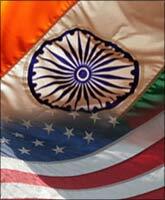 An Indian citizen or a person of Indian origin and comes to India for a visit. A person is deemed to be person of Indian origin if, he or either of his parents or any of his grandparents were born in undivided India. 2. Select appropriate form based on the nature of income. 3. File returns physically or electronically. a. Physical -- Fill relevant ITR form, submit the same along with the acknowledgment (ITR V) to the concerned income-tax office duly signed and verified. If not present in India, the income-tax return and the acknowledgement should be signed by a person duly authorised by him and holding a valid power of attorney. b. Electronic -- Fill in the necessary details and validate the ITR form. Upon validation, a XML file is generated, which is uploaded on the website with a Digital Signature (NB: Digital signature is required to be separately obtained from specified Digital Signature Issuing Authorities). However, if the XML file is uploaded without a digital signature, the individual is required to print the acknowledgement and submit the same through ordinary post within thirty days from the date of uploading the income-tax return. Not paying tax can have a negative impact on your finances. Non-filing of income-tax return would result in levy of interest at 1 per cent per month of delay. Further, penalty of Rs 5,000 could be levied if the income-tax return is not furnished within a period of two years from end of the relevant tax year (i.e. 31 March 2011 for tax year 2008-09).